Seawind Solution Pvt. Ltd. provides specialized services for Digital Marketing Ahmedabad, Gujarat, India. Our promise is to provide you with an enthusiastic and passionate team to deliver the highest possible search, social and mobile results. Through intelligent insight and continual innovation, our aim is to always keep one step ahead of the competition. “No guess work; no replication; just tailored solutions to meet your Local Digital Marketing Ahmedabad needs.” Using advanced Digital Marketing Services in Ahmedabad, Gujarat, for desktop and mobile, we give your site the building blocks it needs to succeed and the powerful sustainability to reach and retain the top positions. Social media is definitely the fastest growing phenomenon in history of the internet and if you know the advanced methods can certainly explode your business. It is a means to gain understanding of the conversations surrounding your brand, your products, your competitors and your marketplace. Only by listening to and building awareness of, the social landscape can you start to understand and engage. 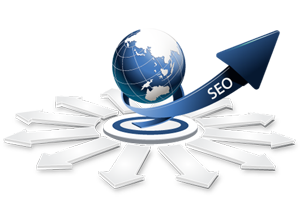 Internet marketing in Ahmedabad is a core part of most digital strategies. This is because social presents a unique opportunity to interact with your customers on a one-to-one level in an environment in which they are comfortable and can engage with brands. You’ve spent time on your strategy and have identified your target audience and are now desperate to reach them. That’s where we come in. We’ll work with you to develop a Digital Ad campaign plans making use of the best channels available and will micro manage every component of the campaign’s delivery. Working with us will guarantee your campaign sees the light of day and delivers results whilst remaining on time and on budget. With an abundance of consumer choice, brands need to create something that consumers will value. But in the digital age that shouldn’t just mean more content. It means content that does more. Most marketing teams were created to push. Seawind Solution Pvt. Ltd., with its excellent content and Digital Marketing services in Ahmedabad gives them help with the pull. Content promotion is a Public Relation tool used to get content seen and shared by your target audience. The key to content promotion is quality. There is no value in spamming social networks and sites with low-grade work. We always tend to offer something unique and shareable, and direct it to an audience who will find it interesting.